What’s an acceptable number of traffic fatalities? 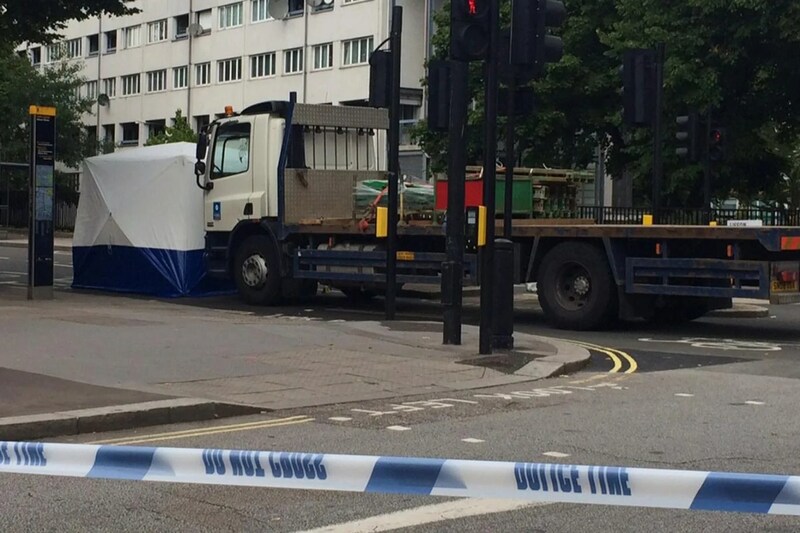 Dennis Carbon was killed by a lorry driver on Lisson Grove earlier this month. 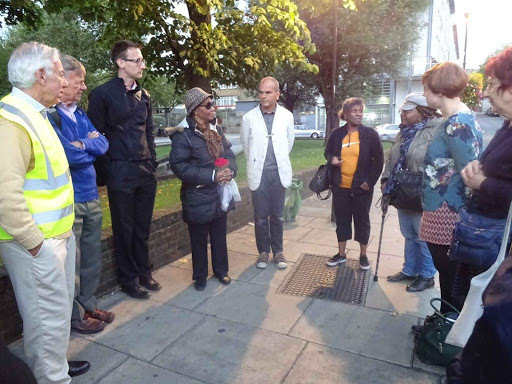 At a vigil organised by Living Street, Dennis’ cousin, Christina Daniel described how the junction where he was killed is extremely dangerous, especially for the hundreds of elderly residents of the Lisson Green estate who want to reach the Church Street market. 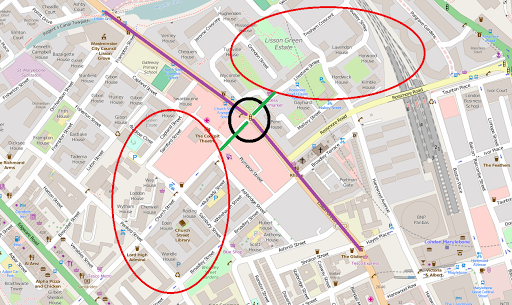 Where it happened: Lisson Grove is a dangerous barrier between where many elderly people live and where they shop. Inappropriate speed – Westminster is the only Borough refusing to lower the speed limit from the present 50kph. Insufficient time to cross – After six seconds, the green man disappears, leaving pedestrians anxiously guessing whether there is time to finish crossing. Inappropriate amount of motor traffic – Lisson Grove is used as a rat run by residents of St. John’s Wood, South and West Hampstead. Let’s look at each of the three points from a Vision Zero point of view. 30 kph – We all know that slower speeds mean more reaction time and less devastating impact. There is also an important psychological element: if you are driving, 30kph feels slow. If you need to keep your speed much slower than you think you are able to do, your outlook changes: you no longer get frustrated by a few seconds “wasted” to let a pedestrian cross or driving behind a child riding his bike to school; you stop seeing the car as a vehicle to make you go fast (unless there are other cars in the way). A 30kph street has much more considerate drivers. The green man is probably vanishing now. What should the couple do? Wait in the middle of the island for another 40 seconds, with fast lorries and buses speeding either side of you, or risk it and finish the crossing? What if there were no vehicles stationary at the lights? According to witness reports Dennis Carbon, who was walking with a stick due to a stroke, started crossing with the green man and somehow was run over by a driver who thought he had priority. Rat run – In the Netherlands, Lisson Grove would not have the level of motor traffic it has. The reason is simple: it is not an arterial road, so it should not be used by through traffic. In reality it is used by residents of other neighbourhoods who instead should be using two perfectly adequate arterial roads, the A5 Edgware Road and the A4 Finchley Road. 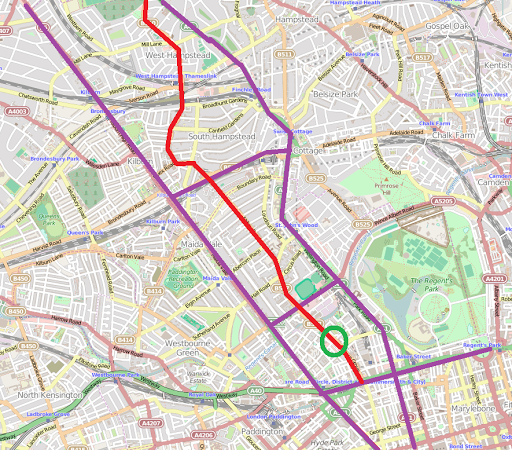 The red route (West End Lane, Abbey Road, Lisson Grove) needs to be filtered so that it stops being a rat run. Through traffic is to be limited to the purple roads. If the Motoring Grid had been in place, would have the driver who killed Dennis Carbon be driving on Lisson Grove? What would Vision Zero Britain look like? In the calendar year 2014 two elderly pedestrians were killed on the A49 road in the vicinity of the small town of Church Stretton, Shropshire (population 4,700). These deaths had a large impact on this small town, affecting many people and extending well beyond the boundaries of close family and friends. Both of those killed were well known and both were physically active and going about their normal everyday tasks. The WHO conclusion quoted above is clear and accurate. It is glaringly obvious that local residents in this quiet corner of Shropshire require a much stronger and deeper approach to road safety than is currently on offer. This would come under several names e.g. a total system approach or a fundamental redesign approach or what is known in Sweden as Vision Zero. Death and injuries in the road traffic environment are predictable and preventable and a total approach to all the variables that contribute to death and injury must be redesigned to get the numbers down to the lowest possible level. The design principles are based on physical and kinetic energy and require that mass and velocity are controlled to minimise or eliminate death and serious injury in crashes. At the core of the Vision Zero is the biomechanical tolerance of human beings. Vision Zero promotes a road system where crash energy cannot exceed human tolerance. Current approaches to road safety are inadequate. There is no learning mechanism linked to redesign and funding to produce a total design that eliminates death and injury. When a fatality occurs on the UK road system very little happens to learn from that incident and apply the new knowledge to making sure that the probability of similar incidents in the future is significantly reduced. All of these principles are part of the Swedish “Vision Zero” road safety policy. In Hillman, Adams and Whitelegg (1990) the authors present and analyse data to show that the numbers of children making independent journeys to school had reduced from about 80% in 1970 to 8% in 1990. The numbers of people exposed to risk had gone down and this reduction in the bottom line of the fraction (the denominator) had played a significant part in reducing death and injury. Official statements in the UK often proclaim the success of road safety measures because numbers killed and seriously injured have gone down. If the denominator shrinks then the KSI number goes down as a result of people abandoning the street e.g. not walking to school and it has nothing to with road safety measures. A key principle in Vision Zero is to reduce road traffic danger and risk so that the denominator goes up (more people use streets) and KSI numbers go down. In October 1997 the Swedish Parliament adopted its “Vision Zero” road safety policy. This policy sets a target of zero deaths and zero serious injuries in the road traffic environment and puts the responsibility for achieving this goal on all those responsible for the total road safety system. This means that the detailed design of the road, the vehicle and driving behaviour must be tackled as a “total system” so that “a mistake in the road traffic environment does not carry the death penalty”. The Swedish approach is an ethical and civilised response to the unacceptability of death and serious injury on the roads. Vision Zero sets a clear ethical tone to the road safety policy discussion. We do not have to accept death and injury as inevitable even if the number is lower than it could be. We do not have to think of the victim as in some way responsible e.g. he/she should not have been walking along the road or should have been wearing a high-visibility jacket. We do have to think about the ability of the human frame to absorb kinetic energy and adjust speeds accordingly. We can and should have a total 20mph speed limit on every residential road and on all A roads a couple of miles either side of a small town or village (like the A49 in Church Stretton). We can and should change the culture of driving so that high speeds become as unacceptable as drink driving. We can and should enforce the speed limits but as much by cultural change and social marketing as by traditional policing. We can and should retro-fit generous bike paths and pedestrian paths on existing roads as well as make them mandatory when governments start talking about £15 billion on new roads. The key message in Vision Zero is that all these things must be done in ways that every measure and intervention supports every other measure and intervention. It is important to harvest the power of synergy where everything works in the same direction and where an overall ethical, zero tolerance approach takes root in every part of the system. The two pedestrian deaths in the vicinity of Church Stretton have resulted in no action whatsoever to deal with speed limits, pedestrian crossing facilities or pedestrian pavements. There is no learning mechanism. Vision Zero means that the deaths would be investigated in detail and steps taken to make sure the factors that gave rise to the deaths are dealt with. Sweden’s Vision Zero policy has been in place for 18 years and has had a transformational effect on the way road traffic danger and total design is tackled. It energises every component of the system and stimulates a year-on-year improvement in the ways the total system operates. Swedish fatalities in 2011 (the latest statistics available from the European Commission) were 29 per 10 billion passenger kms, the lowest in the EU. The EU-27 average is 61 fatalities on the same measure. All death and injury statistics have to be treated with great caution because of the denominator problem discussed above but the EU statistics are still relevant to a policy discussion. The Vision Zero debate is at its core very simple. It is about choice and what kind of future we want. We can have a future based on the idea that “accidents happen” and we accept that the way we move around will inevitably kill and injure people. Alternatively we can have a future based on the idea that we will transform the total road traffic environment to get as close as possible to zero deaths as possible. Vision Zero is the embodiment of the ethical alternative. We can do far more to eliminate death and injury on the roads. If fatalities are predictable and preventable as the World Health Organisation maintains why we would not set out to eliminate this scourge?